Producer Dena Barnett’s documentary takes us on a personal and scientific journey across Europe and America where we discover the role of consciousness in healing, and how it will transform modern medicine. Dena Barnett is a former teacher, and was a long-term caregiver for her late father. Her personal journey in healing began the day she met a healer for the first time, as well as her Father’s suggestion that she trace her great grandfather's burial site. There are very few great tsaddikim or Hasidic spiritual leaders buried in England. It is a rare thing, but there are people who have witnessed healing miracles in this particular cemetery. At the gravesite belonging to a prestigious Rumanian Rabbi, she witnessed hundreds of people praying in and around his tomb. She was intrigued. These 'pilgrims' had travelled across the world in search of one man’s holy compassion. She wasn’t aware of this at the time, but she had witnessed the profound act of spiritual healing: Tsaddick worship, one of the most intriguing contemporary practices of worship in the 21st century. Curious to know more, Dena was inspired to start an investigation into the role that healing and consciousness play within science and medicine. Click to view “Spiritual Healing: A New Frontier in Medicine” trailer. “Spiritual Healing: A New Frontier in Medicine” is about the intersection of healing and medicine. 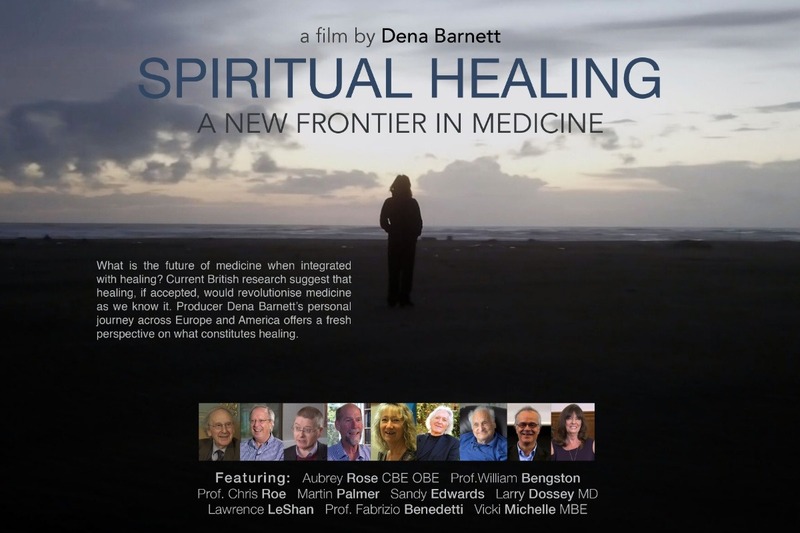 The film explores the current UK research evidence, led by researchers from the University of Birmingham and Northampton University, which strongly supports a role for spiritual healing in modern medicine. Dena's film answers the important questions about a controversial topic – the who, what, why and where. As she travels across Europe and America, she discovers the inside story of healing by meeting actual healers whose work has transformed the lives of thousands, and whose contributions have helped change communities, hospitals, and medical schools, where medical students are reclaiming humanistic skills that have been long neglected. The film profiles acclaimed writer-doctors such as Larry Dossey MD., who has dedicated over thirty years of his life to literary and practical work about healing, and the role of consciousness and spirituality in health. 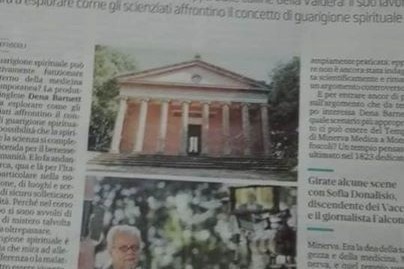 Other authorities include academician-researcher William Bengston and psychologist-researcher Lawrence LeShan. Both these scholars were initially skeptical about healing, but their research and clinical experiences dramatically changed their views. Dena Barnett is an independent British film producer currently residing in Italy who has been working on a documentary on Spiritual Healing for three years. Her team has already done extensive interviewing and filming in Europe with several healers, including Aubrey Rose and Sandy Edwards. Dena Barnett will be in the NY Metro Area beginning of September and is looking to interview and film subjects who have either experienced spiritual healing from a medically diagnosed condition and preferably verified by a physician, or who have resorted to spiritual healing therapies because allopathic treatments didn’t work, and have been healed (preferably verified by a physician). She will also be in London from 18th and 21st October to film a joint interview with Larry Dossey M.D. and Lynne Taggart during the TCCHE - Consciousness and human Evolution conference 2018. We are currently filming some of the last shots to complete the documentary here in Montefoscoli, Tuscany, Italy. 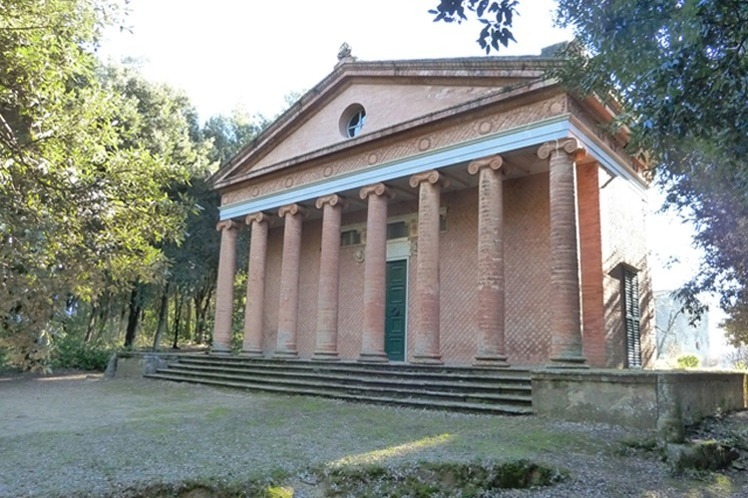 A special addition to the film has been featuring this beautiful temple, Tempio di Minerva Medica, investigating its role in spiritual healing and its relation to Italian medicine and local villagers. "I think the heart of healing is trusting. That you are not alone. that you are part of a greater story, that there are powers beyond our perception just as there are colours and sounds that we cannot see, but that a butterfly or a dog can see or hear. To just realise that all that we see is not all that there is. And all that there is, actually cares for us." Please keep checking into the site to see edited clips and audio of the film.